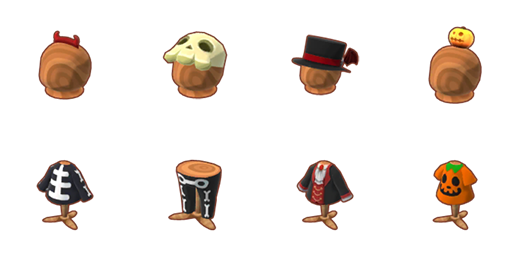 Jack’s Halloween Hunt ended nearly two weeks ago in Animal Crossing: Pocket Camp (Free), and left many players wondering why the rewards were nearly all furniture items and only piece of clothing in the form of a dress. Wonder no more, as Jack’s Candied Catches Fishing Tourney has begun and brought with it eight clothing rewards and a banner in addition to the usual tourney trophy. For this fishing tourney, you’ll be seeking Candy Fish. There are three types: orange, melon, and grape. As always, a Golden Rod will be available for purchase using 80 Leaf Tickets. The Golden Rod doubles all of your tournament-related catches, whereas using a normal rod there is about a one in 10 chance of this double catch. The item that you’ll have to work the hardest for is the Spooky Tourney Banner, as it is rewarded randomly at one of the intervals of 400cm between 9,200-12,400 cm. The horned headband is obtained by reaching total size goals (4,950-6,000cm). The bone cap is rewarded for catching eight grape candy fish and/or reaching total size goals (1,300-2,200 cm); the coordinating bone shirt is rewarded for catching 32 orange candy fish and/or reaching total size goals (2,500-3,400 cm), with the bone pants rewarded for catching 24 melon candy fish and/or reaching total size goals (3,700-4,600 cm). The count’s top hat is obtained by reaching total size goals (6,350-7,400 cm) and the matching count’s jacket is rewarded between total size goals 7,750-8,800 cm. 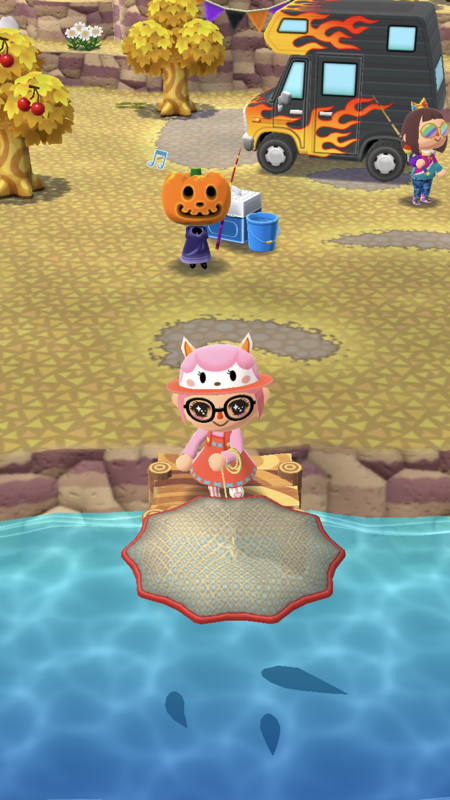 The jack-o’-lantern Hat is rewarded for catching 16 orange candy fish and/or reaching total size goals (250 cm); the matching jack-o’-lantern tee is rewarded for catching 12 melon candy fish and/or reaching total size goals (500-1,000 cm). Jack’s Candied Catches Fishing Tourney began this morning, and runs until 2 a.m. EDT on October 30. Keep your eyes peeled on your mailboxes as another Gifts For All present will be making its way to everyone and can be picked up for a month following October 27. Animal Crossing: Pocket Camp‘s soft launch anniversary date is upon us now, but with the official one-year anniversary next month, my guess would be that will be the theme of at least one upcoming event! Next PostNext ‘Stardew Valley’ Review – Who Needs Real Life?